Inspector Fitzjohn is asked to solve the crime quickly and discreetly. and disgruntled employees, a second killing occurs. To be honest, I found the basic story of MURDER AT THE ROCKS interesting, but weighed down by an overly complex plot and flat dialogue. ” a policeman of the old guard, … methodical painstaking methods viewed by some as archaic”. His wife has recently died. His offsider is called Betts, but he never quite seems to make it as a good foil to Fitzjohn. But having finished the novel I can’t for the life of me think what Fitzjohn’s first name is. I think that is because I rarely read it. 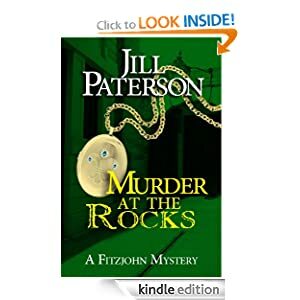 MURDER AT THE ROCKS is a passable cozy, but, like many self-published e-books, in sad need of a bit more careful proof reading / editing. I’m usually pretty tolerant of errors of structure and language but these began to annoy me after a while. The novel has a gothic, old-fashioned, feel to it, reminding me of early police procedurals like the first Gideon stories. I struggled to place it in a period of time, and then latterly discovered it is probably meant to be contemporary, certainly a couple of decades after the ending of the Vietnam War. The first murder takes place in Sydney’s Rocks area, but apart from reference to New South Wales place names like Bowral and Newcastle, it gains little from that setting.